I am aware that there has been a lot of misinformation making the rounds online regarding the proposed amendment to the EU Withdrawal Bill on 15 November and animal sentience. I want to put the record straight for all of you who have been concerned. Firstly, I am not aware of any MP who believes that animals do not have feelings. 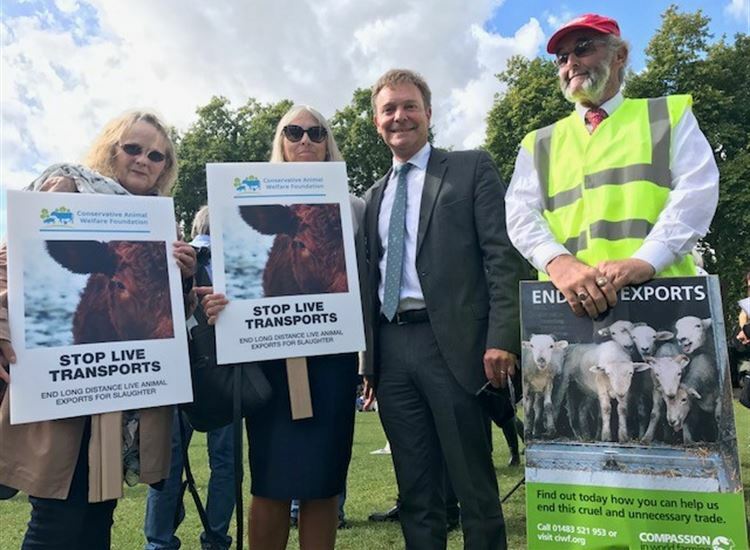 This is an issue of great importance to me – I have been battling to end the export of live animals for slaughter from Ramsgate Port for many years, a practice we are unable to outlaw while we remain members of the EU. Many of you will have also seen me out and about around the constituency with my Labrador Libby; it seems incredible that some would believe I consider her or any other animal to be incapable of feeling. The EU protocol on animals being sentient not only allows live exports, but also bullfighting, veal farming, foie gras ‘production’ and cruel fur product imports. I have witnessed most unpleasant slaughter practices in other EU countries, all entirely legal and in accordance with minimum EU standards. EU law is no panacea: you can farm animals in unspeakably cruel conditions without breaking a single EU law. It would be depressing if that were deemed the benchmark, and I believe we should be more ambitious. The UK has higher standards than any other country in Europe and the Government has presented over recent weeks a huge number of animal welfare initiatives: not least the ivory ban to help end elephant poaching; CCTV in slaughterhouses; increasing maximum sentences for animal cruelty; and banning microbeads and cutting down on single use plastics that harm our fish, birds and sea mammals. In these circumstances, I remain persuaded that UK legislation to provide the necessary and appropriate protection for animals in this country will not be weakened when we leave the EU, and on the contrary, animal welfare will rightly be enhanced. You need to be aware of the practices of Parliament to understand the nature of the amendment put forward by the Green MP, Caroline Lucas. The use of amendments are widely used as a procedure to highlight an issue and then to make a speech. This is laudable practice, but the EU Withdrawal Bill was not the place to advance the ideals (which I share completely) as to the sentience of animals and the call for high animal welfare standards post Brexit. I can assure you that Government will deliver the same result and more using a different route. There will be a new Agriculture Bill during this Parliament, which will be the opportunity to lay down a new framework, with enhanced animal protection measures. There is no argument; self-evidently animals are sentient. I hope that this reassures you of my and the Government’s commitment to not only continuing the same provisions for animal welfare we have today, but also improving it.